Sometimes we take one look – and it’s love at first sight. Other times, it’s an instant dislike. So, I put my boring-but-sensible hat on and say “if you’re not sure – leave it.” Invariably (in my case at least) I live to regret this. But not this time!!! 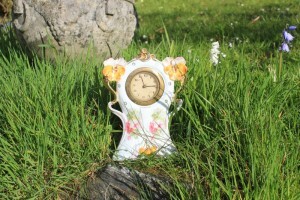 Maybe it was because it was a sunny day (and everything was looking pretty good to me), maybe it’s because I have been pinning a whole ream of Mad Hatter’s Tea Party ideas lately – either way, I liked the faded grandeur of the clock’s age-worn gold edges against the simplicity of the humble clock face… so this little vintage clock came home with me! Old Tea Cups and a tea cup exchange – how could I resist? Vintage Tea Cups – which are your favourites? 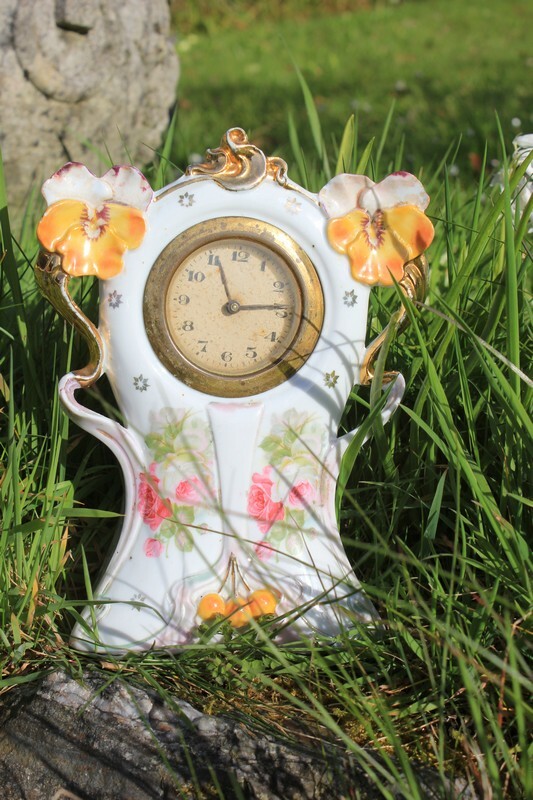 ← Previous Post: Vintage Fair finds – take a look!